is a jazz guitarist. 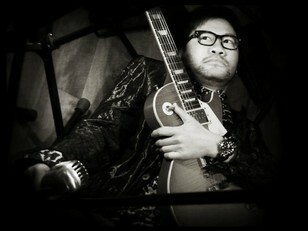 Pao is the first Hong Kong jazz musician who signed a contract with an international record label. In addition to releasing several albums under his own name or in association with other Hong Kong musicians, Pao has played with Jeremy Monteiro's group Asiana and with many leading international performers in the jazz field, including Jimmy Witherspoon, Michael Brecker, Jack DeJohnette, Chick Corea and Herbie Hancock. Born in Hong Kong and a former graduate of the Berklee College of Music in Boston with a degree in Arranging and Composition, Ted Lo began his musical career as a freelance pianist in the Boston area during the mid 70’s. In 1975 Ted debuted his first recording session on the album "Colors" featuring Brazilian trombonist Raul de Souza for Milestone Records at the Fantasy Studio in San Francisco. Other musicians featured included drummer Jack DeJohnette, bassist Richard Davis and legendary saxophonist Cannonball Adderley. Back in Boston Ted went on an US tour with rock legend Al Kooper in 1977. Ted moved to New York City in 1979. A year later he joined "Herbie Mann & Family Of Mann", headed by top jazz flutist Herbie Mann and subsequently moved on to the "Ron Carter Quartet", headed by legendary jazz bassist Ron Carter, formerly with the great Mile Davis Quintet. By late 80’s, Ted has appeared on numerous recordings with artists such as Micheal Franks, Airto and Flora Purim, Eric Gale, Dave Valentin, Ron Carter, Stix Hopper, Earl Klugh, Tania Maria, Jay Azzolina and many others. Ted has performed at major venues such as The Blue Note and The Bottom Line in New York City, The Keystone Corner and The Great American Music Hall in San Francisco, The Blues Alley in Washington D.C., The Roxy Theatre, The Hollywood Bowl and Concert By The Sea in Los Angeles, The Jazz Café in London and Satin Doll in Tokyo, among many others. He has also performed at major Jazz Festivals such as The North Sea Jazz Festival, The Bangkok Jazz Festival, The Singapore Jazz Festival, The Newport Jazz Festival, The London Jazz Festival and also The Montreux Jazz Festival. In 1990, Ted worked with jazz tap dancer Gregory Hines and toured extensively in the States. In 1992, he recorded his debut album “Asian American Trio” in New York which featured Rufus Reed on bass and Akira Tina on drums. In 1995, Ted was invited to perform his home coming concert for the Hong Kong Arts Festival, featuring Hong Kong pop icon Sandy Lam as guest vocalist. By late 1996, Ted returned to Hong Kong to pursue a diverse career as a musician, composer, musical director, arranger and producer. Through the years he has worked with local artists such as Alex To, George Lam, Justin Lo, Eason Chan, Kay Tse, Faye Wong, Joey Yung and Hacken Lee, among many others.